Murray Automotive promises to deliver honest answers and a job done right the first time in a family-friendly environment, so you drive away with a smile. Our ASE Certified technicians use the latest diagnostic equipment and the best parts and fluids to service your vehicle. We have the experience to service all makes and models of cars, trucks, vans, and SUvs, so you can bring all of your family vehicles to our shop. 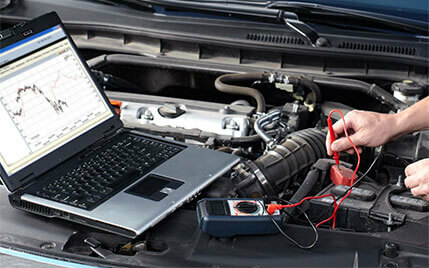 Our technicians are equipped with state-of-the-art diagnostic tools and equipment to help accurately determine what is causing trouble with your vehicle. The combination of our experience and technology allow us to make sure your vehicle is repaired correctly, and we can get you back on the road as quickly as possible. 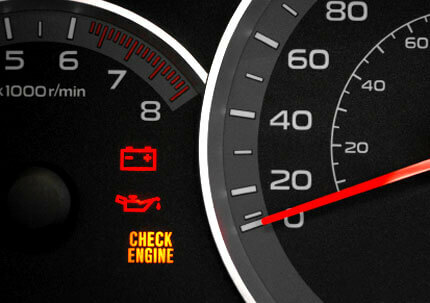 If your check engine light comes on, it could be triggered by something as minor as a loose gas cap or something as major as an engine malfunction. To be on the safe side, bring your vehicle into our shop as soon as possible so we can help determine the cause, fix the problem, and make sure your vehicle is safe to drive. To help increase the life of your vehicle and avoid costly repairs, it is important to bring your car in for regular maintenance. Routine oil change service, alignment, brake repair, and timing belt service are all important to the health of your vehicle. Don’t forget about your tires! 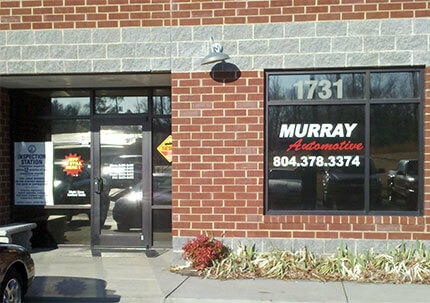 We provide full-service tire repair as well. Call us today, and our team will be happy to help set up a maintenance schedule!